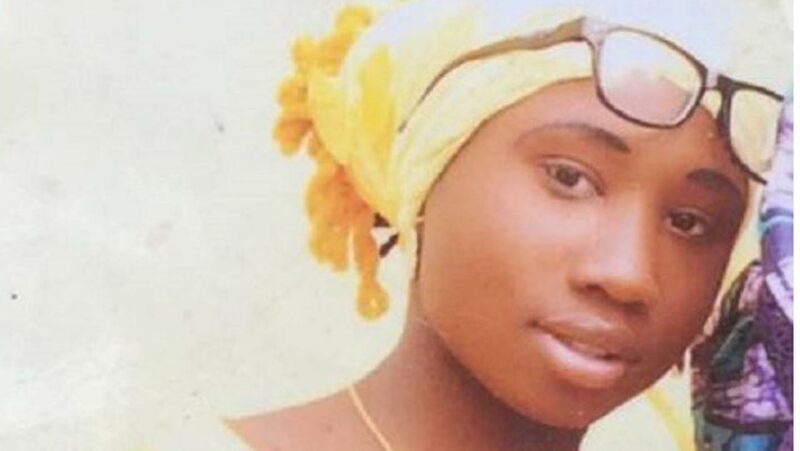 The debate over payment or no payment of ransom to the abductors of the Dapchi girls will continue to pale into insignificance until Miss Leah Sharibu, the only Christian girl who has reportedly failed to deny her faith is released alive. She has become the core issue and indeed an albatross on the neck of the Federal Government that has been promising her release since February this year. She is still in captivity and her parents are still in distress. And Christians in Nigeria are grieving with rising frustration. The reason for grief and frustration are not too far to seek: Leah is still in the hands of her captors who captured 110 girls from the Government Girls Science and Technical College in Dapchi, Yobe State on February 19, 2018. The Boko Haram terrorists reportedly made the renunciation of her faith a precondition for her release, but she was said to have declined and so was held hostage while 104 of her colleagues were released on March 21 this year. Sadly, five of the hapless girls died in captivity. This is a very sensitive background that should have touched off seriousness on the part of state actors in Abuja – since March this year. Let no one get it twisted, Leah at the moment is the face of the perceived conflict between religions in Nigeria – by telling her to renounce her faith. 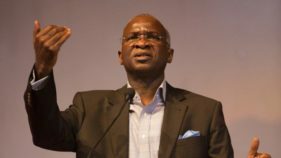 While the Nigerian government said on March 21 that negotiations through a back-channel led to the release of the girls and a boy, recent media reports citing the United Nations (UN) said the government did not tell the whole truth. 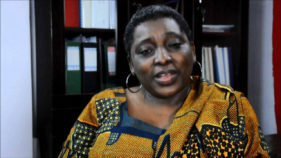 As the issue of the payment of ransom for the rescue of some of the kidnapped Dapchi schoolgirls rages, the various headlines in respect of Leah’s plea to be rescued demands the attention of the Nigerian state actors with conscience, as the non-release of citizen Leah remains a moral guilt hanging over the Nigerian state’s duty-bearers. Those criticising the payment of ransom should instead focus on appealing to the nation’s conscience and encourage the Federal Government to bring Leah back alive. In the same vein, those criticising the alleged payment of ransom should realise that human life involved is more important in the equation. On Leah’s case, therefore, if the Federal Government paid to rescue others, the government should pay and rescue the innocent girl languishing in detention and crying for help! As a matter of fact, Leah stood for something by refusing to change her religion. In this regard, the Nigerian state should note that what she represents in religious context is not to be trifled with and so should be rescued immediately. Therefore, the life of the only kidnapped Dapchi schoolgirl not yet released, will continually be on the front burner until news of her release is broken. It is a shame that it took the plea of the girl the other day for the nation to be reawakened that she is still in the hand of the kidnappers. This is in stark opposition to the case of the 12 boys known as Wild Boars who in June went exploring in Thailand’s Chiang Rai Province with their football coach; and ended up trapped deep inside ThamLuang cave, underneath a mountain. Fear gripped the world because the cave has no GPS, no Wi-Fi, and no cell phone service; as such it is a place where a person can become completely isolated. So, many had expected the story of the lost Wild Boars to end in tragedy. Instead, it became a story of hope and survival, and of families reuniting. This is a story of people from all over the world coming together with one mission: to save 12 young boys and their coach. The operation to save the team and their coach, took bravery and doggedness as the crew of foreign and Thai cave divers courted death every time they explored ThamLuang’s cramped chambers. So many things could have gone wrong, but somehow combined efforts of the people and government managed to get the boys out alive. Notwithstanding, since the political will was there, the rescue team demonstrated courage, determination and focus; and they succeeded. To handle the many things that could have gone wrong, they collaborated with other countries. So, apart from the more than 150 Thai Navy Seal members, outfitted with improvised equipment, overseas military teams brought search-and-rescue equipment. The Americans provided logistics, while British divers navigated the most hazardous stretches. This is a remarkable story of determination and doggedness – and the length a focused country that has value for human life will go to save lives. It is a show of commitment and the value placed on human lives in Thailand. Thai government was not territorial, they got the required expertise from other countries; there was no report of inter-agency squabble; people went to help voluntarily; trauma management was excellent; due diligence was the guiding principle as possible rescue procedures were explored, people were trained on various options before they decided on the procedure to adopt. And the team diligently worked in a well-coordinated manner, without the usual blame game and finger-pointing that is common in our clime. Also, money was not thrown at the issue! They did not rest on their oars until the last boy was rescued! If Thailand could do this, then Nigeria can! So, we need to put in a lot of thinking into solving the problem of Leah and the rest of the kidnapped Chibok schoolgirls still in captivity and possibly get help from other countries. It is hoped that as a country, Nigeria will learn some lessons from this ‘episode,’ remember that Leah is still in the hands of her abductors and intensify efforts to rescue her as Thai government did for the Thai boys. So, we appeal to the president to increase the tempo of the rescue efforts and ask for help; collaborate with other countries and get international rescuers to help until every schoolgirl abducted is accounted for and Boko Haram is conquered. This is the only way we can fully clear the moral guilt that hangs over Nigeria on this issue. 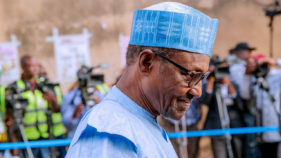 Mr. President, Nigerians are waiting to say thank you for rescuing Leah Sharibu and the remaining Chibok schoolgirls alive and for conquering Boko Haram. Certainly, Leah Sharibu’s issue is too sensitive to be left in the realms of miracles. There is indeed no price that is too much to be paid to achieve freedom for the last Dapchi girl in captivity.